GST has been implemented in the Indian taxation system, which is considered to be a landmark decision made by the Indian Government. However, long before the announcement of this decision, there were many speculations going on, whether the move will benefit the people or not. A large number of people supported this revolutionary decision while many condemning it, claiming that it would put many businesses to earn a reduced revenue and even force them to shut down. However, on the contrary, the central excise commissioner of Gurgaon, V Sangeeta, termed this move as the biggest reform of the indirect tax system. In a recent seminar conducted by PHD Chamber of Commerce and GCCI & Konard Adenauer Stiftung to discuss the potential benefits and drawbacks of the new tax regime, Sangeeta stated that GST would help in enhancing the economic growth of the country by introducing several new job opportunities. She also assured better implementation of tax reform that would help reduce the cascading effects and transactional cost. If we talk about statistics, the government has predicted a whopping 1.3 million jobs increase by July 2018 through GST. Lawyers, tax professionals, cost accountants, e-commerce professionals, management consultants are some of the job opportunities that are expected to increase in banking, insurance, finance and taxation sectors throughout the country. Furthermore, pharmaceuticals, consumer goods, FMCG, automobile and real estate industry will also see a significant jump in providing employment opportunities for younger generations. The Food processing sector currently comprises with an 18-20% growth rate in the country, which is speculated to increase by 25%. The Indian Staffing Federation’s President Rituparna Chakraborty also stated that the GST regime will be responsible for faster distribution of goods and services and the cash flow will be quite predictable and profitable. Whereas the IT sector would probably be able to meet the increasing supply of the professional of the worker by the increased demand in big data, business analysis, and cloud services. Not only this, the semi-skilled workers such as masons, plumbers, carpenters, tailors, electricians, draftsman, weavers, food technologists, etc will also increment the demand through the implementation of GST. With such a massive increase in job market expected in a couple of years, college students and aspiring candidates can take advantage of this opportunity and indulge in various training programs to enhance their knowledge and skills, so that they can easily grab one of these new job opportunities. The GST regime will surely fuel demand for experts and professionals in various sectors of the economy that includes the taxation, data analysis, and accounting field. When it comes to accounting and auditing, small and medium-sized firms would look to outsource their taxation and accounting activities to third-party firms. Such firms will also require hiring dedicated and professional candidates with GST knowledge, management skills, etc. According to the MD of Global Hunt, a leading executive search firm, an estimated one lakh jobs will be introduced in the first quarter of implementation while 50,000-60,000 jobs will follow. If you are also planning to take benefit from this historic decision made by the government, it is the best time to take part in a specialized training program to develop new skills in areas such as accounting, taxation, etc. 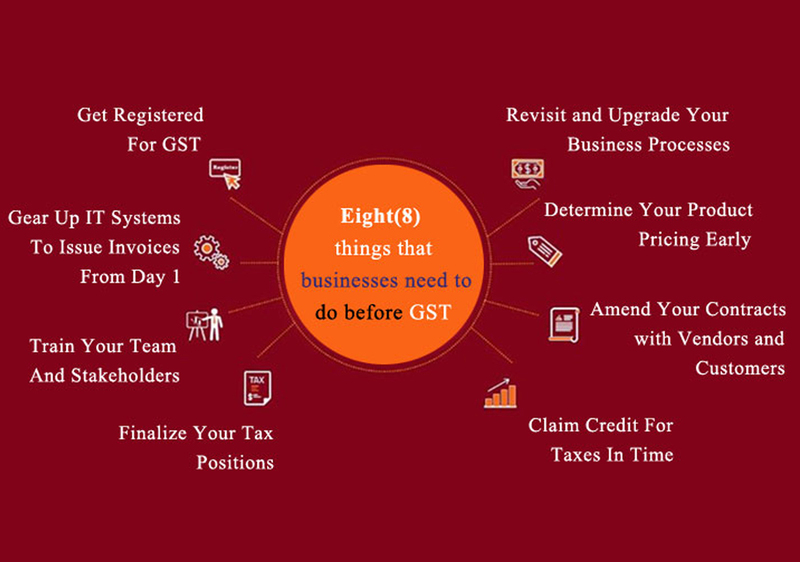 SLA Consultants India is a leading training firm situated in Delhi and Gurgaon, offering the best and advanced accounting and taxation training course with in-depth knowledge of GST management. These are short-term job oriented training course with a real-time practical session provided by highly trained and experienced instructors using the latest course materials with GST details. After finishing the course, you will easily be able to grab any of the newly emerged jobs available due to the implementation of GST. This is the time to act or else, others will get your chance due to extreme competition in these fields. To know more, please visit our offices in Delhi or Gurgaon.